On September 28, the Institute of Politics (IOP) launched The Axe Files, a podcast series consisting of interviews with politicians about their careers and lives. The episodes, two of which have been released so far, are around 40 minutes each. The first is an interview with Democratic presidential candidate Senator Bernie Sanders. Axelrod interviewed Senator Sanders on September 28 en route from O’Hare Airport to Rockefeller Chapel, where Sanders addressed UChicago students later that day. “We have led parallel lives,” Axelrod says, referring to their shared identity as New Yorkers and UChicago graduates. The two went on to share stories about growing up with Jewish immigrant parents, the political movements of the ’60s and ’70s, the Brooklyn Dodgers, and learning more outside the classroom than at the University of Chicago. 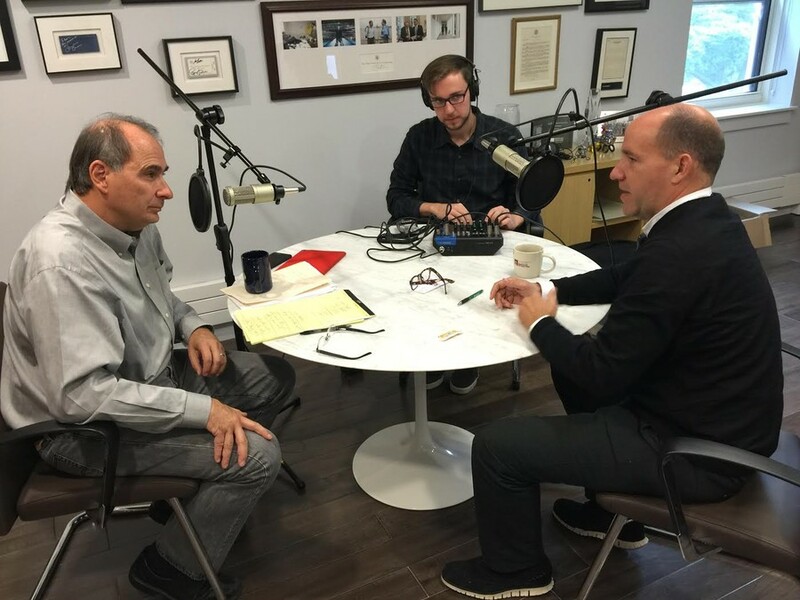 The second episode, released Monday, October 5, features Matthew Dowd, a visiting Fellow this fall at the IOP. Dowd was the former chief strategist for Bush’s 2004 presidential campaign and is currently an ABC News political analyst. The interview took place at the IOP and covers Dowd’s 35-year career. Dowd discusses how he was supposed to be a priest, his split with the Bush administration, and his thoughts on the camaraderie of politics. In the upcoming episodes of The Axe Files, Jaffe says Axelrod will host mostly guests who have been or are currently affiliated with the IOP, but not exclusively. The IOP hopes that The Axe Files will serve as a valuable resource to UChicago students, but already sees the potential for a much wider national—and international—audience. In this sense the initial response has been encouraging, according to Jaffe. The Axe Files already has a wide network, receiving the most listens not in Chicago, but in San Francisco, and reaching listeners in countries such as Japan, Saudi Arabia, Vietnam, and Iraq. The Axe Files episodes are free and available for download on iTunes.